Lifestyle stores is a leading online and offline fashion store which deals in latest fashion wear and accessories. It is originated in India in 1999 and since then has been one of the most trusted brands for shopping. It is owned by Landmark group in India which is a Dubai based company. Lifestyle stores offer a lot of products sorted into categories such as men, girls, women, boys, beauty products, watches, accessories, shoes, and home centre. 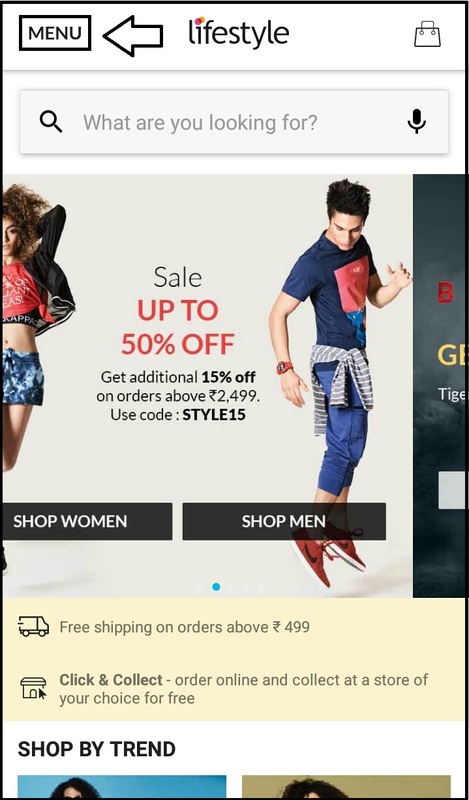 Lifestyle orders high-quality products that too from reputed brands such as Adidas, Puma, Flying Machine, CODE, Fame Forever, Lee, Forca, Levi’s, Indian Terrain, Jack & Jones, Being Human, U.S Polo, Wrangler, and much more. They also have a rewards program wherein users can earn Landmark Rewards for shopping their favorite products and then convert the points into money for next purchases. 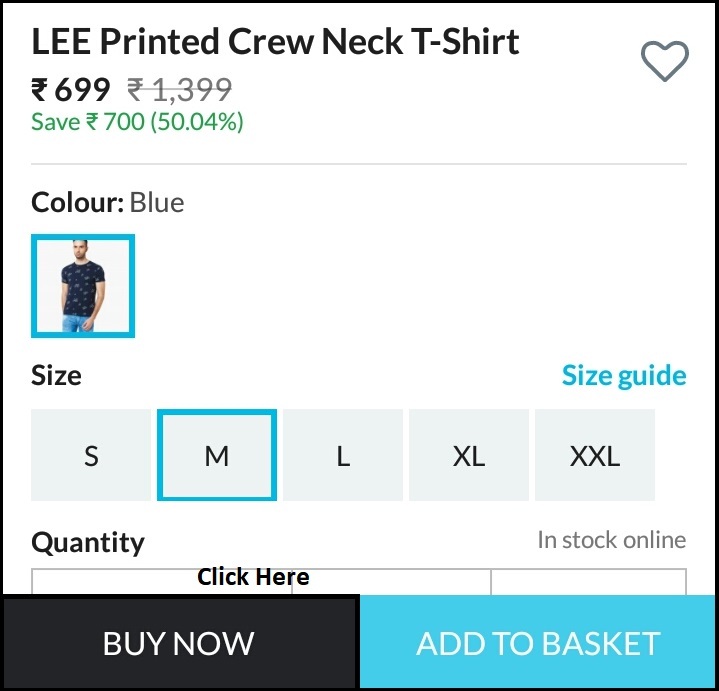 If you are ordering some products from Lifestyle’s official website or mobile app for first time, then you might face problems. Here in this article, we are going to explain you the thorough process of placing an order on Lifestyle. We will be providing step by step guide along with relevant screenshots for your convenience. Do remember that you need to be logged into your Lifestyle store account before attempting this guide. Open the official website of Lifestyle stores that is www.lifestylestores.com/in and you are presented with the beautifully crafted start page of their website. Here in you can know about all the latest offering and promotions which are going on. You can use search bar or category view from top header to find your desired product from this large inventory. Once you are on the product page, select your size from the available sizes and click on buy now button. 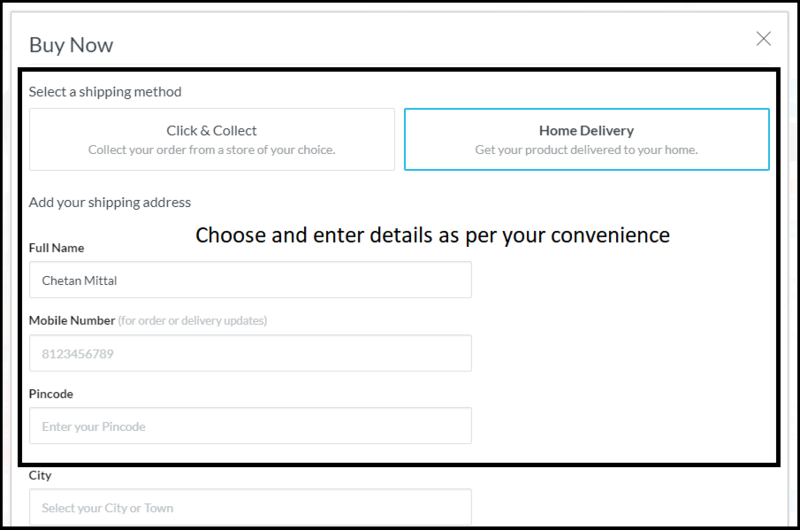 A new popup will open wherein you can choose whether you want to pick up your product at the nearest store or get it delivered right at your doorstep. Choose as per your convenience and enter the delivery address. Complete the payment details. 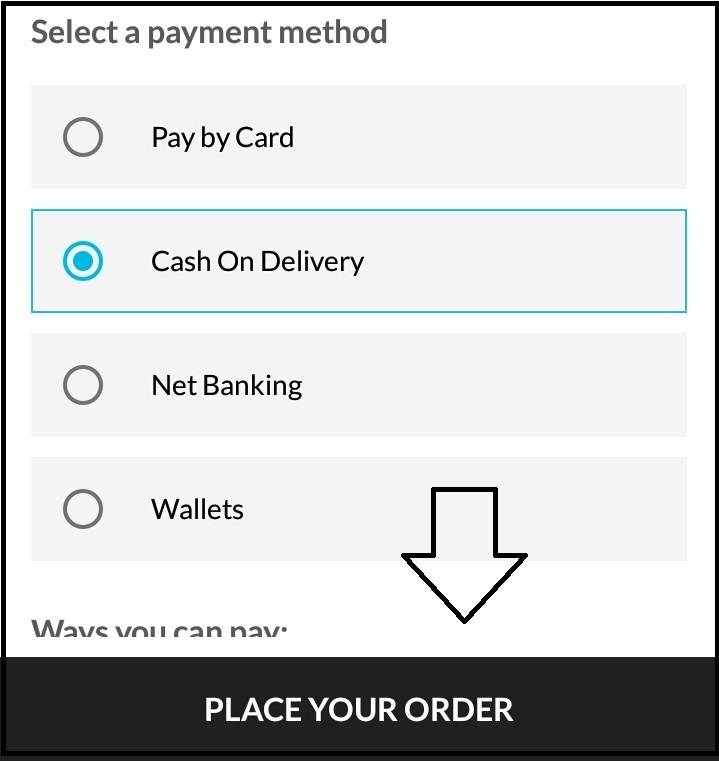 You can also choose cash on delivery. Open the mobile app of Lifestyle stores. It is available for both iOS and Android operated smartphones. Use the search bar or category view to find your desired product. Once on the product page, select your size and click on buy now button. 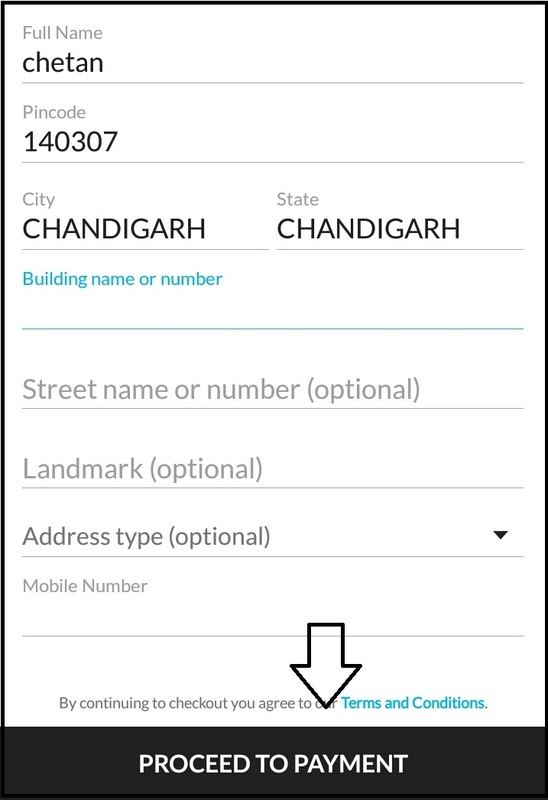 Enter your delivery address with name, pin code, city, state, and house number and click on proceed to payment button. Easily make payment online from any of the available payment options such as net banking, debit card, credit card or various mobile wallets. Cash on delivery option is also available. 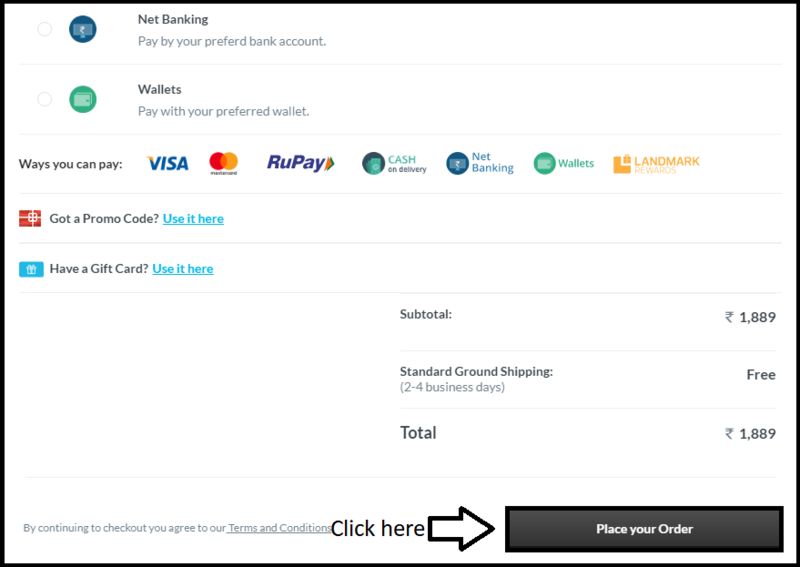 These are the simple steps you need to follow to place an order on lifestylestore.com. If you are still facing any difficulties then do contact us through the comments section. For any type of further information related to online ordering, you can call their customer support department at Lifestyle customer care phone number.